Tesla has released a new update for Autopilot that brings parallel parking abilities to its newer cars — perfect for Tesla owners in big cities trying to squeeze into tight spots. 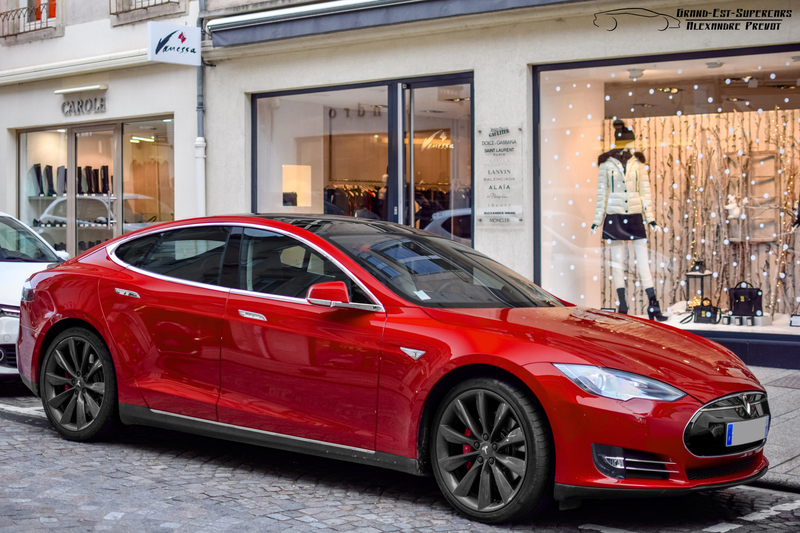 The Hardware 2 platform, which newer cars are based on, has been gradually receiving features that were present on older Tesla cars, like automatic parallel parking. Once the newer cars gain all the old features, the company will be able to push the new cars towards its eventual goal of fully autonomous driving. Reddit user Byshop303 spotted the parallel parking update to his Model S on Friday. The version 17.7.2 update follows swiftly on from the 17.5.36 update, released last Wednesday, that brought automatic steering onto “local roads” with a speed limit of 35 miles per hour or less. Tesla started shipping cars with its Hardware 2 platform back in October. Powered by Tesla-developed software and a Nvidia Drive PX 2 computing platform, the system uses a combination of radar, cameras and ultrasonic sensors to control the car in certain circumstances. It replaced the computer vision-based system found in older models that was powered by Mobileye, following the two companies’ dissolution of their partnership back in July. Tesla was originally planning to have the two systems work side-by-side, but CEO Elon Musk explained on Wednesday’s earnings call that Mobileye’s refusal meant the company had to “cross the rubicon” and use a different strategy. The parallel parking feature, known as Autopark, was one such feature present on Mobileye-powered cars that’s now been brought to Hardware 2 vehicles. It brings an extra degree of autonomy to daily driving by using the onboard computer to maneuver the car into a parking space. Although it’s tempting to start the procedure and let the car do its thing, Tesla recommends staying alert to take over at a moment’s notice. Taking over steering or shifting, or pressing the Cancel button on the touchscreen, stops Autopark immediately, while pressing the brake will pause the feature. The car will indicate when Autopark is available by displaying a P on the instrument panel. The symbol will only appear when the car is traveling less than 15 miles per hour and when the spot is surrounded on three sides by two vehicles and the curb. To activate, the user brings the car into reverse to bring up the guide on the touchscreen.